I had a kind of epiphany a few years ago as I studied Alma chapter 32 and 33 in the Book of Mormon. This chapter covers Alma’s famous discourse on faith, one of the best, if not THE best that you’ll find anywhere in scripture. The sermon presents an beautiful analogy of how fundamental principles for discovering truth work together using the concept of nourishing a seed into a tree of life that bears fruits of knowledge. And now as I said concerning sandwiches—A sandwich is not a hot dog; but if you eat a sandwich you will not be hungry any more. Yes, probably a horrible analogy but is my point clear? Again, he is reiterating what faith is NOT, it is not a perfect knowledge; this is important because we are being introduced to the idea of perfect knowledge. Alma is trying to establish that faith means that you don’t know something perfectly but later on he will show us that through faith, we can know perfectly; got it? Let’s continue. 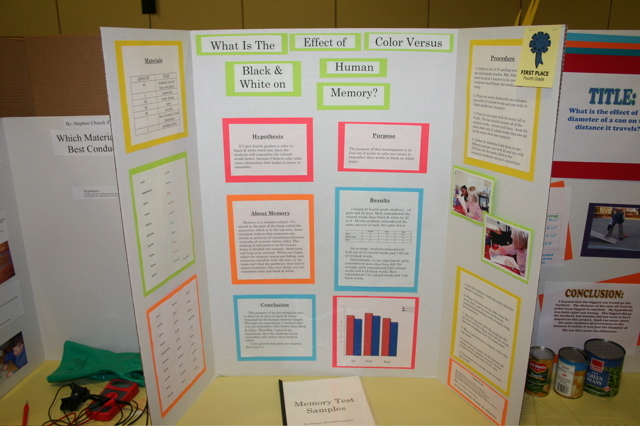 Back in high school, I like many of you, probably had to do some kind of science project for the ‘science fair’. We loathed doing them and would procrastinate until the last minute only to work until 3am the night before it was due and then finish it in the car or on the bus ride to school. We would then see our sad-looking tri-fold cardboard project alongside others that were obviously done by the parents of your classmates. Did you see it? First is the problem, which is outlined a little bit earlier and re-emphasized at the beginning of the next chapter. The people are wanting to know how they can worship God but Alma begins with teaching them how they can verify truth on their own first, instead of just coming right out and saying what they should believe. The problem is based around the idea of ‘the word’ which is compared to a seed. The word can be anything, really – it’s whatever you want to know. Second is the hypothesis. The hypothesis is that the word or the seed is good or true. 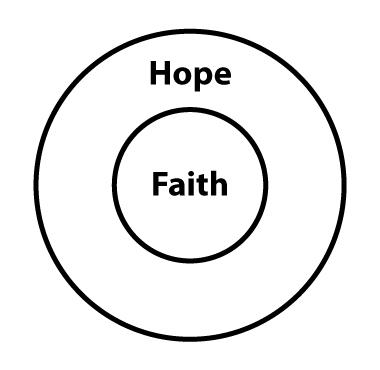 Third is the experiment, and Alma provides the tools necessary to conduct the experiment: a particle of faith or even just a simple desire to believe. He also sets some conditions for the experiment, you have to plant the seed, you have to give place that what he’s saying is true, you have to have an open mind and believe, you can’t just cast it out because of unbelief and resist the Spirit. He then tells you what should happen and adds to the hypothesis, he says that if the seed is good it will “swell within [your] breasts”, “enlarge [your] soul”, “enlighten [your] understanding” and “beginneth to be delicious to [you]”. Fourth, the analysis of data and the conclusion. These occur through the rest of the chapter as we periodically check in and note the progress of the seed. It is becoming a plant and growing larger. During this process, your faith is growing and by virtue producing some knowledge, however, it’s not yet perfect knowledge. Alma warns of external dangers that could corrupt this experiment. To obtain the fruit, this plant cannot just be left alone, the plant needs nourishment and protection. However, what is happening now is that Alma taking them beyond what the were originally asking for, instead of just answering their question, he’s taking them to the source, he’s letting them see the answer for themselves; the essence of pure testimony. This isn’t about just knowing something, this is about tasting it and comprehending it perfectly. See, now we’ve come full circle. The seed is now a tree and the tree has produced fruit. You could have just eaten the seed and have been temporarily satisfied, but now you have a tree filled with sweet, delicious fruit that will feed you forever! Note the significance of the “tasting” concept illustrated here. In thinking about tasting, it becomes obvious that nobody can taste for you, it is something you must experience for yourself. This seed cannot be planted in a community garden, unfortunately, it can only be planted in the human heart and mind. It can only be tasted by a sense that the mortal tabernacle is not equipped with. Once we have eaten the fruit, we can pass out the seeds but individuals must receive and plant them on their own. Here is another analogy. Let’s pretend that I have a peach pit that I tell you is from a peach tree down in Georgia that is ancient and produces the most delicious peaches ever. You could believe me, because I’m trustworthy and you know I’ve been to Georgia quite a few times. 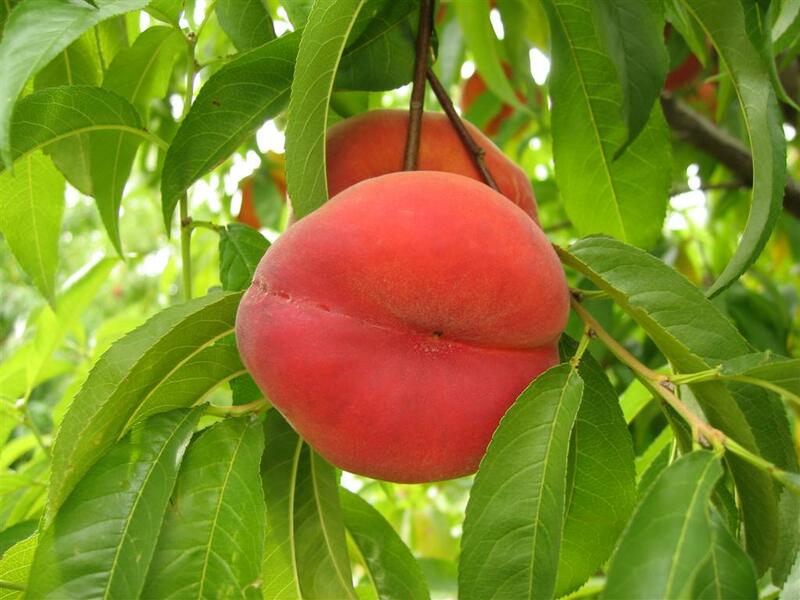 You could put the seed in your pocket and be satisfied that you hold in your pocket a seed from a famous peach tree that produces the most desirable peaches; you could believe it with all your heart but you would never know. Well, not only can you know, but you can know with a perfect knowledge. You can plant that seed in the ground, water it, wait patiently, protect it, watch it bear fruit and then, one fateful day, you will sink your teeth into that plump peach and savor the perfect sweetness as the juices ignite your tastebuds. This is how God wants us to know the gospel. So then, we have reached the end of the chapter; what is faith? Faith is everything it takes to bring you from a state of belief to a state of perfect knowledge, in other words, faith is a vehicle that moves one from belief to perfect knowledge. Alma 32 teaches us that James the apostle was right, “faith without works is dead, being alone” because faith, literally IS works! When you do the things you believe, voila! There is faith! You start with a simple belief with the desire for a perfect knowledge or even some knowledge. Knowledge comes as desire fuels faith in what we believe, while hope is a path of possibilities that faith can follow to a perfect knowledge. So we can see that hope is this expansive, elastic force that is almost comparable to using a flashlight in the woods at night. The light of hope illuminates the way forward while faith is you taking the steps into the darkness. In order for the flashlight to see further into the dark, you have to take the steps of faith to expand the reach of the light. But the purpose of taking a journey is to reach the destination is it not? When we reach that destination, we enjoy everything it has to offer; especially if it is all that we had hoped for. I’ll admit it, I don’t have a green thumb; I promise, I’ll show you if you don’t believe me. A while back, a friend from church gave me five strawberry plants. They were young and healthy and he gave me the instructions on how to keep them: Water them every day, give them sunlight and fertilize them. Well, I watered them every day and put them in a nice place where they would get just the right amount of sun. I was waiting for that fruit and from time to time my friend would ask “How are those strawberry plants doing?” I noted that they weren’t dead yet, so pretty good, but I felt bad that I hadn’t fertilized them; but did I really need to? I mean, they’re growing right? Then I noticed flowers before too long and thought that surely they’re just fine, flowers mean that fruit is on the way so I’m doing it right and kept on watering. Soon enough fruit began to appear and by ‘fruit’ I mean ‘A fruit’, one strawberry, a tiny, dinky one that was kind of red. About this time my friend asked again about my strawberry plants, he told me that his had produced TONS of huge strawberries, his thumb and index finger indicating the size. I confessed that I only had one, blueberry-sized strawberry and was then chastised for not fertilizing. The plants had nourishment to grow and blossom but they lacked the nutrients to produce, full, healthy fruit which is what I wanted in the first place. I just didn’t do what it took to get that fruit; it’s the same with the gospel. Sometimes we do just what is convenient without taking the time to drive that extra mile or so and get the one thing that will make all of our efforts worthwhile. Instead, we end up with dead plants, wasted time and discouragement. There was nothing wrong with my plants, I just didn’t obey the principles for obtaining strawberries. Think about that in terms of Alma’s analogy…you started with a seed and now you have a tree that produces endless fruit; fruit contains what? More seeds! That’s right, when you gain a perfect knowledge of a particular truth, it opens up into an entire host of new truths to discover! God doesn’t want us to just have one tree, he wants us to have an endless orchard of truth to feast off of. But bringing this back full circle opens up another idea that takes us back to the initial seed. Where did Alma get this seed? Now, I know that this is all just symbolic, but symbolism aside, let’s get down to reality, he wasn’t giving the people a seed, he was giving them ‘the word’. This word was a seed plucked from fruit from Alma’s own personal tree of life that he had tasted of. This presents the idea that in order to bear testimony of a truth, one must have first tasted of that fruit themselves. How much more convincing it is to the heart of a seeker to hear pure testimony born from taste and not just from what amounts to just a strong personal belief? I put together a little table to illustrate the interplay of the principles of faith and how they relate to the scientific method. and that he shall rise again from the dead, which shall bring to pass the resurrection, that all men shall stand before him, to be judged at the last and judgment day, according to their works. and that he rose again from the dead, which shall bring to pass the resurrection, that all men shall stand before him, to be judged at the last and judgment day, according to their works. Faith in Christ has a key inevitable conclusion; you will meet him on the path and he will heal you. When you keep his commandments, submit yourself to his ordinances, enter his gate and walk his path, you will find him there. When he heals you, you will know him, you will love him and as a result, all others as well. You will not be the same as you once were and even greater things can and will be revealed as you walk with the Savior down that path. This must come first; and in Zion I believe it will, so why not begin now with yourself? Alma’s sermon on faith provides all true believers who wish to become knowers by being doers with a powerful framework for achieving their desires. He lays out the elements, identifies the tools and marks the waypoints on the path while telling us how fantastic the destination is. The method we use for scientific discovery is the same method we use for spiritual discovery; truth can be found, but we must pursue it along the principles with which it can be detected. I liked your breakdown of Alma 32 and your scientific method. 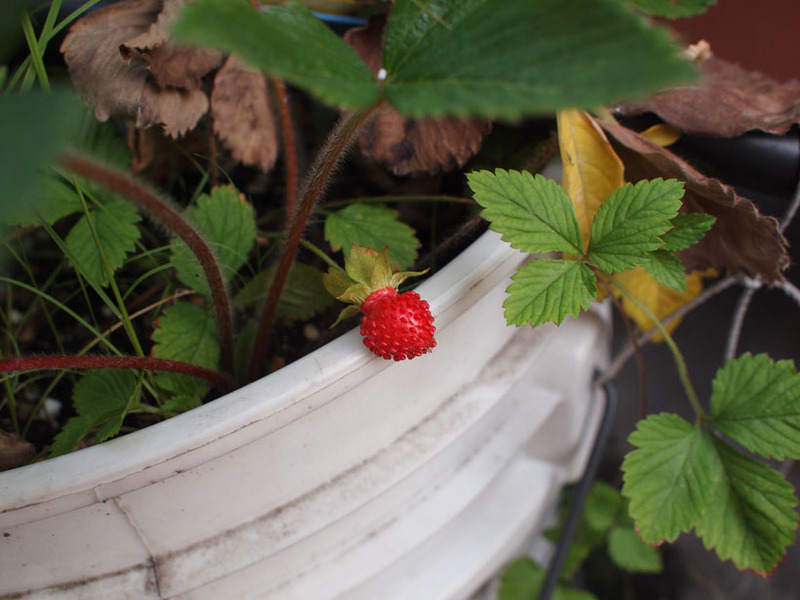 I really liked the photo and story of your strawberry plant growing experience. Too often we think that all we need to do is to plant and water and assume the soil is good enough to produce fruit–we go through the motions of going to church and what I term “the good Mormon list”. and think that is good enough to produce good fruit. The soil of the church isn’t enough! We need to apply the enriching nutrients of the Gospel to produce fruit which is faith, repentance, learning and becoming like Christ and having the Holy Spirit for our guide. I know that this is an old post but I wanted to let you know that it touched me. It is beautiful. Thank you!